Tap N learn musical drum has tons of fun activities and learning features. The large LED screen on top will delight. 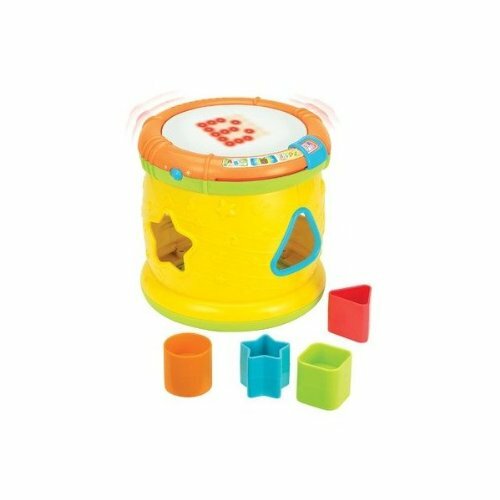 Select different modes of play for learning activities and fun sounds. Four shapes are included that insert in the side of the drum. There are pre-programmed melodies and fun sound effects.